In a steel bowl combine vodka, the Murph’s, lemon juice and tabasco sauce. Freeze until crystals form, about 40 minutes. Stir mixture and repeat till slushy. Chill your glasses. 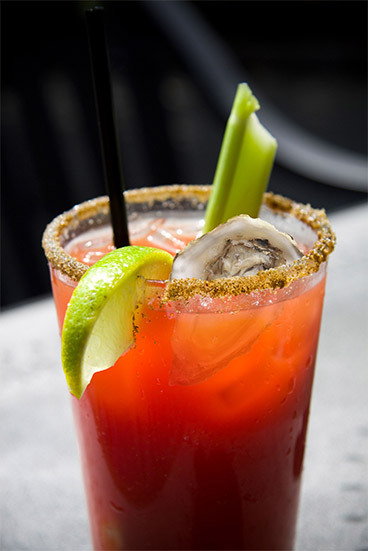 Fill each shot glass with an ounce of the bloody mary mixture, divide the oy sters evenly in the glasses, add another ounce of mixture and place the cucumber and horseradish on top. Sprinkle fresh black pepper to finish… and…Shoot’em!